Pakistani Clothing and Dresses Online Shopping Blog. Summers are just round the corner and women are in search of Pakistani Lawn Dresses. According to the trends, most women cling towards the brands which launch their collections of all type of summer dresses. 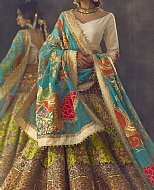 The quest of this was going on when many Pakistani Lawn Collections were launched and one of them was the Spring/Summer collection by Sana Safinaz (Muzlin) 2019. The summer has started to show its presence, and It is the time when designer lawn fever is on full swing. In this way, our website has displayed all the well known collections of lawn suits in the single category. It is to be sure a perfect answer to discover Pakistani Lawn Collections 2019 at sensible costs.